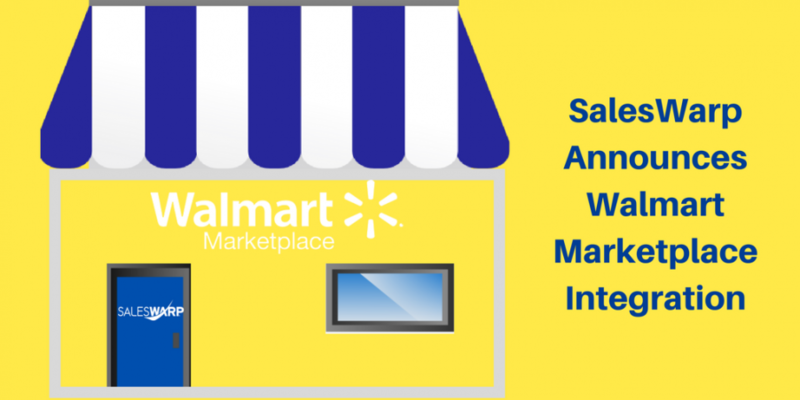 SalesWarp is excited to announce our integration with Walmart’s online global marketplace! Our retailers can now sell on one of the largest online marketplaces in the U.S. and gain access to its loyal customer base. We are one of only a select number of solutions providers that Walmart is allowing to access its API and onboard new sellers. With this integration, SalesWarp can help retailers and brands sell on Walmart’s Marketplace. SalesWarp’s cloud-based solution allows merchants to efficiently automate and manage the online selling process across multiple channels, including third-party marketplaces like Amazon, eBay, and Walmart. The Walmart Marketplace was launched in 2009, starting with a handful of third-party brands. Products from third-party retailers are displayed alongside Walmart’s own inventory and are called out as Walmart Marketplace items. Walmart is playing the long game by rewriting its ecommerce strategy. Before the Jet.com acquisition in August 2016, Walmart’s online sales had been slipping. With Marc Lore at the helm of Walmart’s ecommerce operations, there has been drastic restructuring and the acquisition of several ecommerce companies. The result: improved online sales. Walmart is the second largest retail site online with over 110 million unique visitors per month. According to their 4Q earnings report, Walmart’s online sales have grown by 29% – the highest in 3 years. Today, Walmart Marketplace boasts more than 35 million SKUs and 7,000 marketplace sellers. Walmart Marketplace intends to add one million items per month, largely through the help of new third-party sellers. Walmart continues to look for relationships with reputable retailers and brands that provide first-class customer service, unique product assortment, competitive pricing, and fast and reliable fulfillment. For sellers, the Walmart Marketplace presents a great opportunity for massive exposure and increased sales opportunities. To succeed as a marketplace, Walmart must manage customer expectations and unify the omnichannel shopping experience. If perfected, Walmart would gain a massive advantage over Amazon: 5,000+ stores nationwide. They have the name, financial backing and infrastructure to seriously battle with Amazon. Our goal at SalesWarp is to help you fully leverage your online potential, become a multichannel superstar, and a leading player in the marketplaces where your customers and prospects are searching, buying, and reviewing. SalesWarp provides multichannel management and manages your orders and fulfillment across marketplaces. We provide innovative technology that connects your marketplaces and channels to the platforms and systems you already use. Want to know more about automating your ecommerce venture or need help setting up your Walmart items? Give us a call at 410-276-4600.